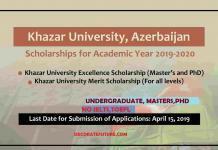 The government of Khyber Pakhtunkhwa is offering college scholarships for the year 2019. 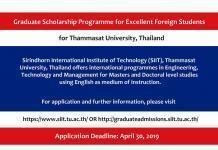 This scholarship is also for high school students. Khyber Pakhtunkhwa Merit Scholarships was introduced in 2004 for the children of serving government employees with the aim to encourage talented students on their achievement in Board and University exams (final result). 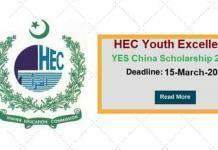 The Khyber Pakhtunkhwa Merit Scholarships program was initially introduced for top ten position holders, however, keeping in view a large number of talented candidates the amount and number of scholarships have been upgraded. Children of serving provincial government employees (regular Benevolent Fund contributors), scoring not less than 1st Division, are eligible for the Merit Scholarship. Applications are invited on closing of each calender year and grant is sanctioned on final results only. 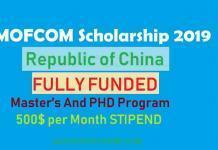 The grantee who avail the Merit Scholarship is not eligible for any other scholarships. 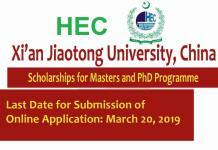 The scholarship application forms are required to be verified from the Head of Institution and submitted through the head of Department concerned. Form should be filled clearly in CAPITAL LETTERS, and all required information must be provided. Incomplete forms will not be entertained. 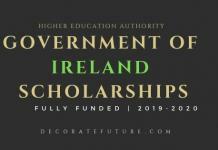 Date fixed for the receipt of the scholarship application forms should strictly be followed.